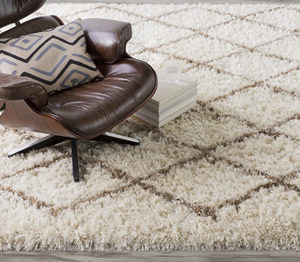 The Badabing lattice area rug is constructed of Wool with a touch of Nylon for added softness. The patterned rug design can easily transition from traditional to contemporary. Vacuum regularly with a suction vacuum cleaner. Do not use rotating bristle brush. 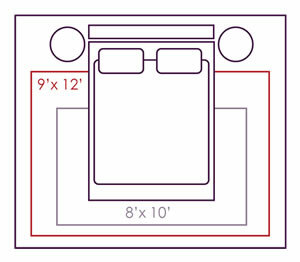 Do not use a Dyson cleaner as all warranties by the mill are voided. Spot clean with any wool approved cleaner. Professionally clean with a certifed wool carpet care professional.